Ann Arbor, MI and Salt Lake City, UT (April, 2019)—NeuMoDx™ Molecular, a sample-to-result molecular diagnostic company focused on central laboratory customers, and XCR Diagnostics, a sample-to-result systems company focused on actionable near patient results in 10 minutes or less, have announced today a chemistry license partnership to develop and implement three XCR® assays onto the NeuMoDx™ 96 and 288 Molecular Systems. The fully automated NeuMoDx™ Molecular Systems integrate the entire diagnostic process – from extraction through detection or ‘sample to result’ – in approximately one hour to first result. These innovative analyzers offer continuous, random-access to load up to 288 patient samples for high throughput sample processing with a true operator walkaway window of up to seven hours. XCR Diagnostics has demonstrated the ability to dramatically improve amplification and detection turn-around times by as much as 80% in traditional molecular diagnostic systems. In the case of the NeuMoDx™ Molecular Systems, it enables first results in as little as 40 minutes. Additionally, XCR chemistry reduces traditional amplification anomalies such as primer dimers and non-specific binding. The first assay available as a result of the partnership will be a multiplex for the detection of Group A Streptococcus (GAS) and Group C/G Streptococcus. This assay will employ NeuMoDx™’s proprietary NeuDry™ reagents, which require no refrigeration, offer an in-use stability of greater than 28 days, and ambient temperature storage shelf life of greater than one year. Additionally, the unitized format of the NeuDry™ reagents significantly increases operating efficiency while minimizing the waste associated with systems requiring manual reconstitution and/or use of bulk format lyophilized reagents.” We are excited to form this partnership with XCR Diagnostics. While the NeuMoDx™ Molecular Systems already offers marketing leading speed and ease of use, by significantly reducing turnaround times, our systems will be faster than most point of care instruments, but with the sensitivity and efficiency of a state-of-the-art central lab system. We anticipate launching the Strep assay in CE markets later this summer.” commented Jeff Williams, Chairman and CEO, NeuMoDx™ Molecular. In contrast, experts estimate that several million cases of non-invasive group A strep illnesses occur each year. Non-invasive group A strep diseases include strep throat and impetigo. Complications of these group A strep infections, like post-streptococcal glomerulonephritis and acute rheumatic fever, are rare. See the NeuMoDx Molecular Systems in operation at ECCMID 2019, April 12th – 14th in Amsterdam, Netherlands at the QIAGEN Booth (#1.20). Steve Young, PhD., Director of R&D at TriCore Reference Lab in Albuquerque, New Mexico US, will be presenting on his experiences with the NeuMoDx™ Molecular systems and the ease of use and superior assay performance of both IVD and Lab Developed Tests (LDTs). The presentation will be starting at 1:00 pm on both Saturday, April 13th and Sunday, April 14th in the QIAGEN Booth #1.20. 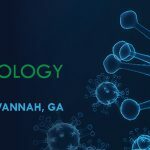 Also, please view our abstract/poster presentations P0671 – Epstein-Barr Virus; P0005 – CMV; P1716 – CTNG; P0792 – HCV and P1583 – Group A Streptococcus. NeuMoDx™ Molecular designs and develops revolutionary molecular diagnostic solutions for hospital and clinical reference laboratories. Our patented, ‘sample-to-result’ platform offers market-leading ease of use, true continuous random-access, and rapid turnaround time while achieving optimal operational and clinical performance for our customers and the patients they serve. For more information visit www.neumodxmolecular.com. XCR Diagnostics Inc. is an early stage nucleic acid system company advancing near patient portable molecular diagnostics instrumentation, sample delivery systems, amplification, detection and analysis to the diagnostic markets both domestically and internationally. The Company is positioned to provide the first sub-10-minute to a negative test result to the market, meaning a positive result could be as rapid as 7 minutes. The combination of small portable Nucleic Acid Testing System platforms and revolutionary molecular reagents enables XCR Diagnostics to dramatically trim test times while reducing healthcare costs, with a vision to deliver hyper-accurate molecular diagnostics testing nearer to the patient. To learn more about XCR Diagnostics, please visit xcrdiagnostics.com. © 2019 XCR Diagnostics. All rights reserved. I consent to XCR Diagnostics collecting my details through this form.